You use your cell phone for everything. Whether it’s checking in with your family, texting your best friend, looking up directions or playing games for when you’re bored, you rely on that small device. But having access to that device can often come at a high price. Between the unlimited talk and text, wireless access and streaming all your favorite shows and news, the amount of work you put to your phone reflects in your monthly cell phone bill. Your bill may escalate quickly, and you may not even realize it. And you may not be able to do anything about it. With such an essential service such as your cell phone, people have discovered helpful ways that you can save big on your phone bill each month. You don’t have to settle for paying that unbearable high price for the ability to communicate. Here, we share seven ways that you can lower your cell phone bill to get to communicating on an affordable plan. When you’re looking to save some extra money on your payment schedule, check out if your carrier has an autopay option. According to an article from NerdWallet, some carriers may offer special deals like $5 or $10 off your monthly bill if you opt into an autopay system. Automatic payments make it easier for both you and the carrier. You don’t have to remember to pay each month and the carrier ensures they’ll get your bill. Check out what options your carrier might provide for you by looking into their autopay features. There’s not one cell phone carrier for a reason. Each company offers special features and promotions to get and keep their customers. If you’re not happy with your current carrier, shop around to see what others have to offer. You may be able to find a better deal with another carrier based on your unique cell phone needs. An article from Dave Ramsey suggests to ask if your current carrier will match a better deal you’ve found with another carrier. They may be willing to cut you a deal in order to keep you as a valuable customer. Does your phone have a protection plan with your carrier? You may not need it, or need the full extent of the insurance plan that they offer. These carriers promote several types of protection plans and warranties to provide you the service and assistance you may need. These extensive protection plans may not always be necessary. When you switch from a full-blown protection plan to one more basic, you have the potential of saving a great deal of money. In the article, author Kelsey Sheehy states that the savings you can get from switching your insurance plan can range from $80 to a massive $180 per year. While you don’t want to play this reduction of a protection plan too risky, as you may need a higher insurance, especially for brand new phones, it’s worth looking into your options. One of the biggest ways to use up data on your phone and boost your cell phone bill is by being on your phone streaming or working not on Wi-Fi. In an article from Dave Ramsey, the author suggests to not stream videos or podcasts or do tasks that take up a lot of data when you’re not connected to Wi-Fi. If you go over your monthly data limit, the overage charges can be steep. Be smart about when and how you use your phone when you’re not connected to Wi-Fi. If you’re not sure how much you’ll spend on your monthly phone bill, choosing a prepaid plan can be a great option for you. When you pay per GB with a prepaid carrier, you can potentially reduce your monthly bill by a great deal. Many of these prepaid carriers are owned by the larger companies like Verizon or AT&T. Choosing these less expensive carriers that are still part of their parent company can provide you the assurance you’ll get great coverage at a better price. For example, for a 5GB plan through Cricket Wireless, you only pay $40 per month, compared to a similar plan with AT&T where you’ll end up paying about $80 a month. That’s some huge savings. It’s tempting to get into the habit of simply paying your cell phone bill without even looking at the charges presented. However, not glancing through your bill can cause you to miss potentially important details and charges that you had not been aware of before. An article from Dave Ramsey suggests to look through the charges on your bill and consider whether or not your actually do need all those charges listed. Some features you may be able to remove from your cell phone plan and therefore reduce your overall monthly bill. Don’t pay your bill blindly. Take a minute to actually glance through and know what you’re paying for. 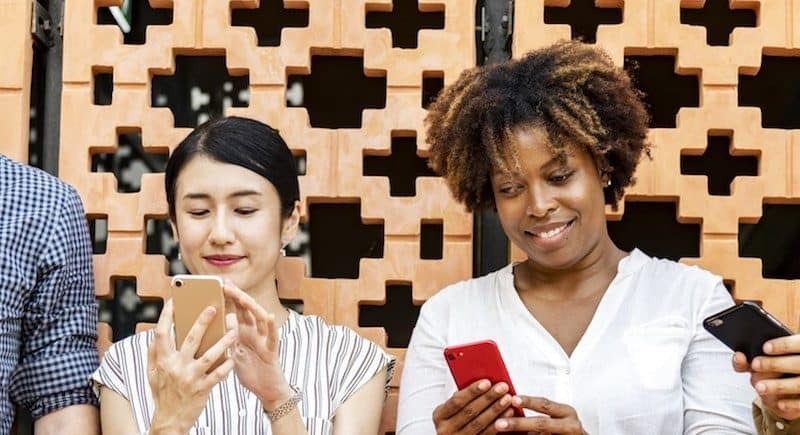 Although the thought of adding more lines to your phone plan may seem odd, since that would seem to increase your bill, but it can actually save you money overall. By splitting the bill with others, the amount you pay for your line will be lessened overall. The cost per line tends to decrease as more lines are added. This article from NerdWallet shows a helpful breakdown of the monthly cost per line based on popular carriers. When you team up with others, all of you can get a plan that works for you at a lower cost. Yes, phones are essential to our everyday lives. However, you don’t have to settle for paying outrageous prices to get coverage. Use these helpful tips to discover ways that you can cut down on your monthly bill. These tips don’t take long to complete but can help save you a great deal overall. And to save even more, check out our deals on phone carriers.